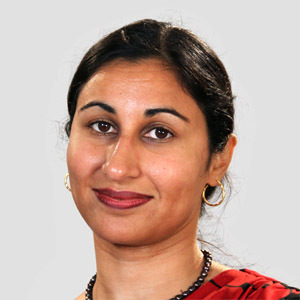 Ayesha Akbar joined the St Mark’s consultant physician staff in 2010. Her clinical interests include general gastroenterology with a focus in inflammatory bowel disease. She also has an interest in abdominal pain and irritable bowel syndrome, especially in the overlap cases with inflammatory bowel disease, and sits on the British Society of Gastroenterology Neurogastroenterology committee. She is involved in service development including setting up a community gastroenterology service with the local CCG and has an interest in patient care and satisfaction. Ayesha is actively involved in education, teaching and research. She also holds several management roles, including the chair of her local LNC. She has been elected as a Fellow of the Royal College of Physicians. She undertook her specialist training in general medicine and gastroenterology in London, and has gained valuable experience from leading institutions including Hammersmith Hospital, Royal London Hospital, UCH and St James’s University Hospital. Her research work at Imperial College London gained her a PhD entitled “Molecular mechanisms of visceral hypersensitivity in the colon.” She has published her research in peer reviewed journals and presented her work at national and international meetings. She is frequently invited to lecture both on IBD and IBS, and to contribute to advisory boards as a key opinion leader. She was a clinical advisor for the NICE TAG advisory board for Lubiprostone in 2014. Ayesha was elected chair of the Neurogastroenterology committee of the British Society of Gastroenterology (BSG) in the summer of 2015. She has been invited on to the media panel of the BSG and frequently acts as their spokesperson for national media including the BBC. She also takes an active part in management, and has been elected chair of the local negotiating committee of the trust since 2014.